With the old pound being officially retired on Sunday 15 October, it might be time to check through old piggy banks and behind the sofa. 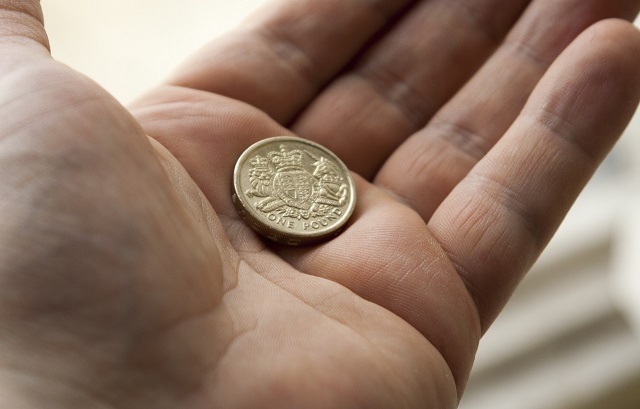 It’s the end of the old faithful round £1 coins, and by the end of the week you’ll no longer be able to use them to make purchases in shops, supermarkets, vending machines and car parks. After 34 years of circulation the old solid one pound coins are being retired. They were first introduced in 1983, replacing £1 notes, after the mint decided that a coin would give the commonly used £1 denomination a longer lifespan. Are you happy with where you're keeping your pounds? Could you get a better rate of interest, a cheaper overdraft or useful freebies? Compare bank accounts and see if you can find one you like. As of Sunday 15 October 2017 retailers and businesses can refuse to accept the old round £1 coin and it ceases to be legal tender. So you will no longer be able to use any pounds issued between 1983 and 2016, though some shops might continue to accept them for a while (see more on this below). What can you do with your old pound coins after 15 October? If you miss the deadline to use your old pound, most high street banks, building societies and post offices will exchange it for either a new £1 coin, or let you deposit them into your account. You should be able to do this with any old currency you have lying around, even if you have an old £1 bank note from before 1983. However, note you will only get face value for the currency and it won’t be adjusted for inflation. After more than three decades of service, the Royal Mint decided it was time to retire the round solid £1 coins for a new model that is harder to make fake copies of. Royal Mint chief executive, Adam Lawrence, said it’s the “most innovative and secure coin” the Mint has ever made. The pound is a combination of two metals, like the £2 coin or the euro, which makes it much harder to counterfeit than a solid coin. And taking currency design into the future, the coin features a unique hologram-like image which changes the pound symbol to the number one depending on the angle. Is the deadline too soon? The new pound coin was introduced on 28 March 2017 (as was the October deadline to stop accepting the old pound coin), but thousands of shops say they’re likely to ignore the deadline this Sunday. A trade body representing 170,000 small retailers advised its members to continue taking the coins, because the changeover period has not been long enough. Mike Cherry, the national chairman of the Federation of Small Businesses, said they welcomed the security against counterfeit currency “but the changeover period has been fairly short.